a welcoming atmosphere for customers and reduce energy costs and maintenance. Blacker Hall Farm opened the doors to it’s 400 year old barn and welcomed it’s first customers in 1999, five generations of family farming are the back-bone of the Blacker Hall business, around 75% of what is sold is made at the farm. 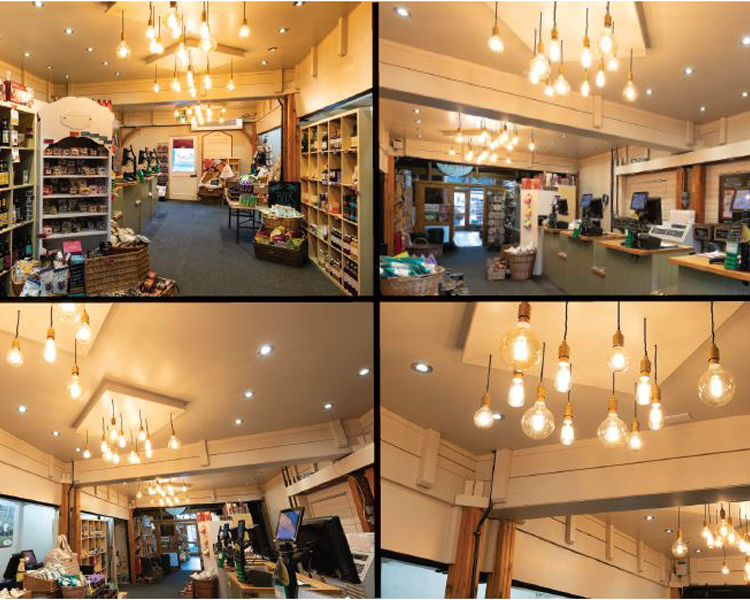 Karen Close Retail Manager said “The new lighting design has proved an instant success with both staff and customers alike. The downlights provide crisp clear illumination around the till area and product shelves, while the vintage lamps add warm welcoming light and a retro feel. The quality of light is excellent and the lamps and fittings are maintenance free”.